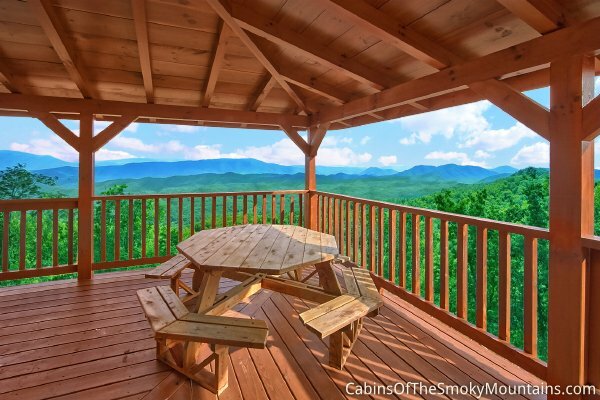 The Deckhouse is a huge 4-bedroom luxury cabin with panoramic views and wraparound decks to see in every direction, located in the Summit resort on Bluff Mountain close to Pigeon Forge, TN. 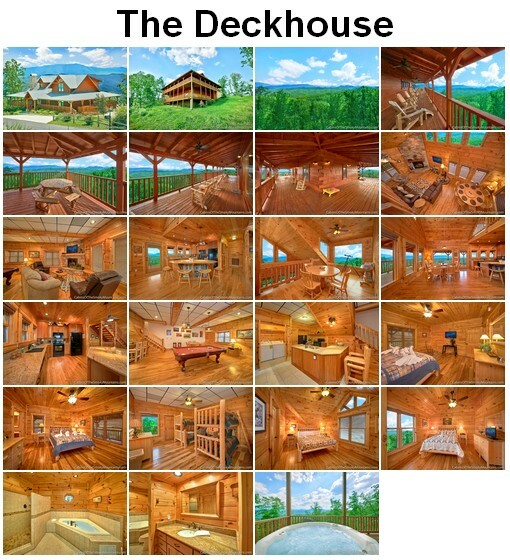 The Deckhouse is also the 500th cabin to join our management family of luxury rental cabins in the Smoky Mountains. The Summit Resort occupies a prime location with fabulous views, with good access to Pigeon Forge and the surrounding area. 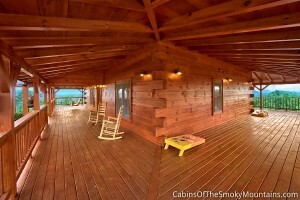 The Deckhouse has paved parking and wheelchair accessibility. 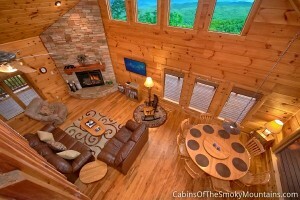 We were honored that the owners asked us to manage this cabin, our 500th. 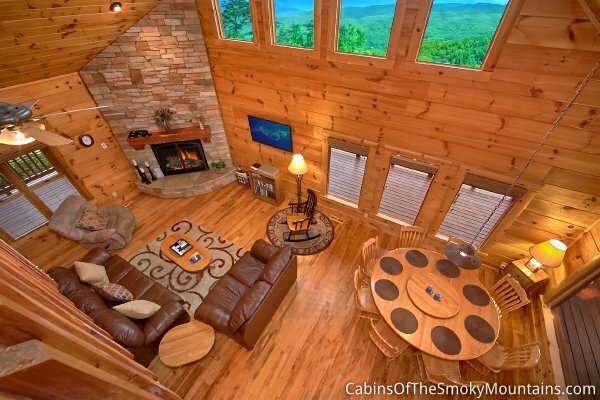 We couldn’t choose a finer cabin to mark this milestone. The Deckhouse is a spacious world to itself, sleeping up to 14 people in comfort, with two king bedrooms, a queen bedroom, and a bunk-bed fourth bedroom for the kids to call their own. There are 4 and a 1/2 bathrooms, and two levels of wraparound decks. 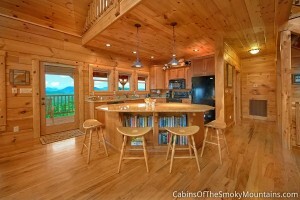 There’s a second kitchen downstairs in the recreational area. 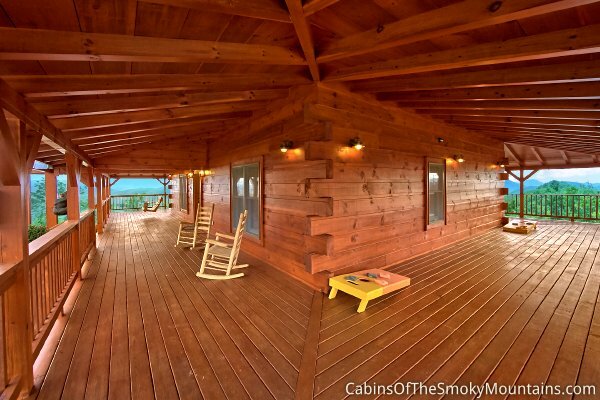 The Deckhouse features a fully loaded game room with wet bar and a theater room with HDTV and surround sound, plus a pool table and many other amenities. 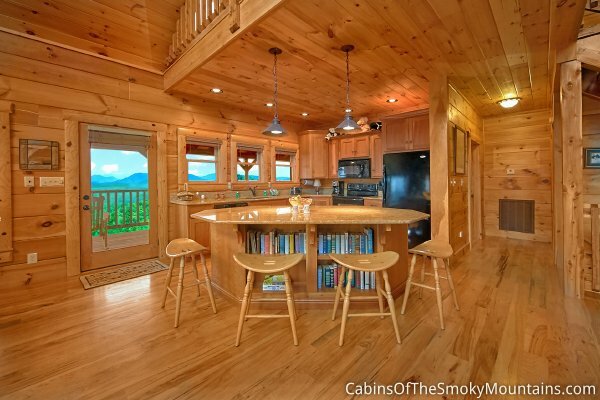 Upstairs, vaulted ceilings with lots of windows capture the sky and the views, and loft-style nooks and landings offer places to hang as you linger to chat over a cup of coffee, gather at the dining table indoors or the picnic table on the deck – or the hot tub or one of the many rocking chairs. 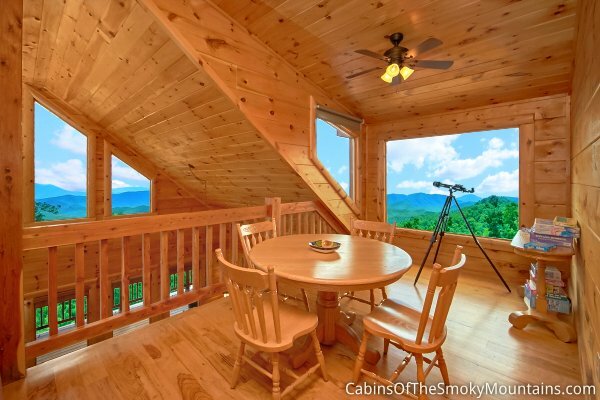 Click here to check availability and book The Deckhouse for your next trip! Gatlinburg Falls Resorts – Venture Resorts, Inc. Since we started as Gatlinburg Falls Resort, we’ve grown over time to manage other cabins, and now we’re the largest rental operation in the Smoky Mountains, with easily 200 cabins more than other agencies. 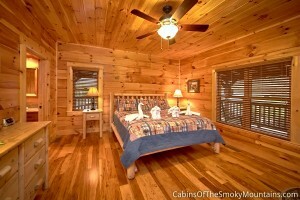 Having so many cabins in our family allows us to offer a vast variety of choice to guests. Whatever you’re looking for, we have it! We try hard to offer value, cleanliness and perfect service to our guests. 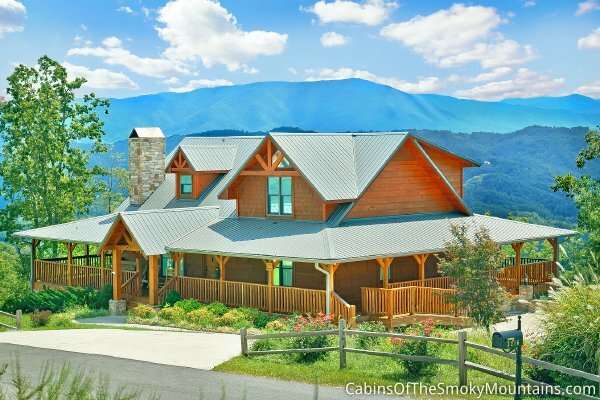 We’ve earned a 4-star rating on TripAdvisor, and been named the “Best Family Resort in the Smokies” by Southern Living Magazine.